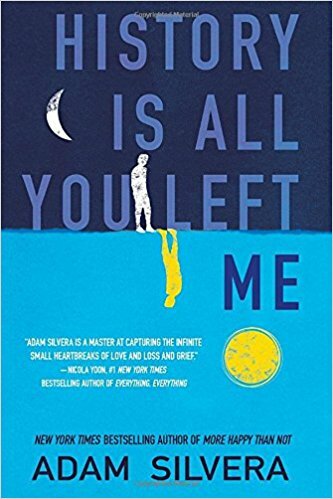 Summary (from the inside flap of the book): When Griffin's first love and ex-boyfriend, Theo, dies in a drowning accident, his universe implodes. Even though Theo had moved to California for college and started seeing Jackson, Griffin never doubted Theo would come back to him when the time was right. But now, the future he's been imagining for himself has gone far off course. To make things worse, the only person who truly understands his heartache is Jackson. But no matter how much they open up to each other, Griffin's downward spiral continues. He's losing himself in his obsessive compulsions and destructive choices, and the secrets he's been keeping are tearing him apart. If Griffin is ever to rebuild his future, he must first confront his history, every last heartbreaking piece in the puzzle of his life. 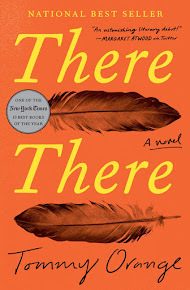 Review: I enjoyed Silvera's first book, More Happy Than Not, so was pleased to hear he had a second novel, but I didn't enjoy this one as much as "Happy." That doesn't mean I didn't like this book because I did. I just didn't get as invested in this one. Griffin is a character to whom readers can definitely relate. He is likable, caring, unsure of himself, and yes, has OCD. He scratches his palms when things are uncomfortable for him, he has to walk on the right of others, he likes even numbers in all things. This is an important and well done aspect of the story. Griffin really should be in therapy to deal with his obsessive behaviors, but he is too busy dealing with Theo's death. Theo, Jackson, and Wade are also good and important characters. They are his friends, his confidents (sometimes), and his partners. They help Griffin navigate his life during a very important time. They accommodate his obsessive behavior, which helps, but doesn't. The chapters are told as "today" and "history." 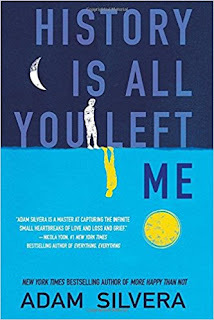 Today is after Theo's death; the aftermath when Griffin is trying to figure out what Theo meant for him, how he is going to go on without him, and what he wants from life. History is his time with Theo. How friendship became more and how Griffin's relationships with others played out because of Theo. I do think Silvera did a wonderful job of showing Griffin's thought process and how we deal with love and grief.